We’re going to kick this post off with a confession: I don’t like eFiling. In fact, I hate eFiling. In the early aughts, when this new system was forced upon our profession, I thought it would be a great thing for our clients. And in some respects it is. But the bulk of the benefit has insured to the government – which isn’t inherently bad, but surely we should get some sort of share of that benefit. Instead we have gotten a brand new vector of audit exposure, a host of legal responsibilities, and the maddening reality that our tax season doesn’t end after the filing deadline. I don’t just write advice posts, I’m an avid consumer of other practitioners’ posts – and referring to himself in the third person – try it, it’s empowering! There have been many posts on boosting our staff morale by suggesting that we close our offices on the day after the filing deadline. Well, if you’re an eFiler (which is all of us), you can’t close your office the day after a filing deadline. There will always be a few returns that get rejected from the eFiling system. Some are administrative, a transposed SSN. Others are due to ID fraud or an ex spouse violating a dependency claim agreement (which will still be relevant even without dependency exemptions – so much for a simplified Code). The point here is that prior to eFiling, we would prepare the return, deliver said return to our client, along with our invoice, and send them on their way to the USPS – done and done; we did our job and got paid. Now, we prepare the return, deliver it to the client, wait with baited breath for the client to execute the eFile release form(s) (some states like MD have their own form, other states will accept the federal release form – it’s a patchwork – see the post on Sales Tax apps), then we wait for the USPS to send the signed forms back to us, then we can eFile the returns, then we have to wait for the eFile to complete, then we have to send the confirmation letters to the client – each step along this tortured path presents a point of failure. Also with eFile, we HAVE to submit that return within 3 days of receiving an executed release form, regardless of whether the client has paid us or not. Then, we improved on that by making two PDFs, one for the tax return and one for the eFile Release Forms; one the client looks at, the other the client ignores and conveniently forgets they have when they’re applying for a mortgage and ask you to (drop everything and) send them a copy of their return. Guess which is which. Then, with the first rumors of ID theft, we began adding passwords to those PDFs and/or hashing out the SSNs. Then the software providers and IRS couldn’t agree on what forms needed a hashed out SSN so the hashing was ditched. Let’s take a moment to delve deeper into the password enabled PDF. Perhaps your tax software allows you to add such a thing to your PDFs. Usually this is some algorithmic approach such as “last 4 of SSN + 5 digit zip”. Perhaps you purchased Adobe and are able to create your own passwords. All is good for emailing right? Nope. There’s another issue here. Let’s say you send your password enhanced PDF via email to your client. Your client then signs the doc and makes a new PDF to send back to you. What happened to the password? If it’s a new PDF, there is no password! Take a moment and visualize this scenario: You send your password equipped PDF to your client. Your client is not that tech savvy and has poor security and surfing hygiene. They have malware on their computer; they have no idea about this, they’re just annoyed at how slow their computer is. They download the PDF, enter the password, sign the PDF and re-save it and send it back to you. That now unsecured PDF is intercepted in the interwebs. Try explaining how you’re not culpable to a plaintiff’s attorney. Try reasoning with your malpractice carrier provided attorney why you shouldn’t settle. OR – you can start using digital signature providers. One of the few things that Intuit does well is how they added eSignatures to Lacerte. With a few mouse clicks, you can “assemble” and deliver the tax return to your client. Your client can “read” and sign the tax return FROM THEIR PHONE, and all of this can be done within minutes! But this costs money you say. Yes; yes it does – this is Intuit after all; everything costs money. You know what else costs money? Envelopes, postage, paper, toner, prints in excess of your copier’s monthly base allotment – and TIME. Staff time, your time; time is money. Buy back your time and save on all that administrative crazy by using the eSignatures feature in your tax software. I use Lacerte, but I’m sure this process is similar in other software packages. Once you complete the return, there’s (in Lacerte) a button on the client overview tab to initiate the digital signature process. Clicking this button will bring up a pop-up. If you’ve already entered the taxpayer and spouses’ email addresses, they’ll be populated in the pop-up. Select the number of days you want the digital signature email to remain active and how many days in between reminders, then hit send. Intuit bills you for usage on your monthly REP statements. You can also purchase in bulk for price point savings. That’s it! Seriously, that’s it. There’s nothing to print out – no more queues for assembly. No more administrative overhead. You finish the return, click a few buttons and the return is both assembled (converted to PDF) and delivered (via a secure medium). 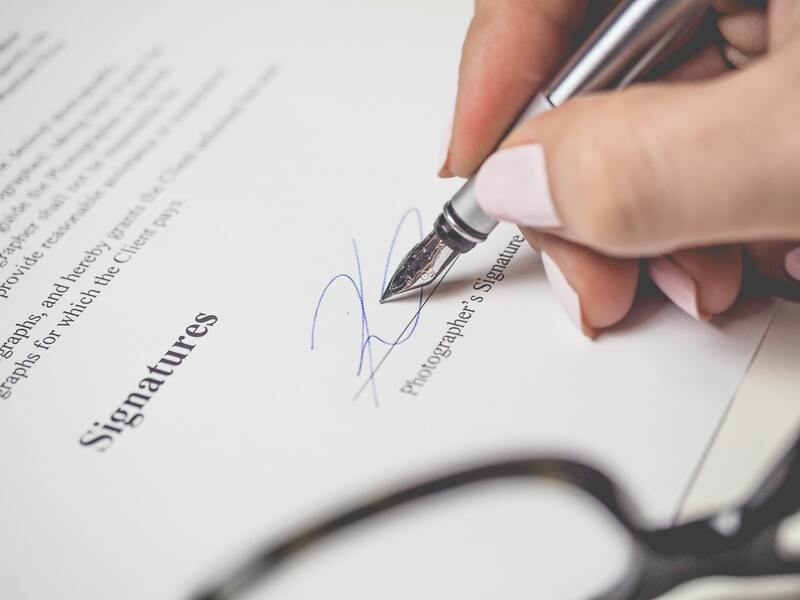 There are also digital signature solutions in non-tax software based apps. Our secure portal will be adding digital signatures soon. And TaxCaddy offers digital signatures. In our firm, we used TaxCaddy and Lacerte’s digital signatures. TaxCaddy’s solution is half the price as Lacerte’s – because of course it is. However, Lacerte’s solution is more efficient to use. In practice, we used TaxCaddy during the earlier parts of tax season, resorting to Lacerte during the last couple of weeks of the season. I can’t stress this enough: Digital signatures is literally the least tech savvy thing you can do. If you’re hesitant about switching to the cloud, that’s one thing, but not using digital signatures is not a defensible position. And unfortunately, there really isn’t a middle ground. If you’re going to deliver the tax return via an electronic medium, you are committing malpractice by using email as that medium. If you don’t want to use digital means, then go back to paper and snail mail. Some of your clients won’t care; they may even prefer it! But there’s one constituency that will care – the younger practitioner that you’ll want to buy you out if you ever want to retire. 0 responses on "#TechTips: eSignatures"